Long-time friends of Composite Global Solutions, de Campo Architects are embarking on their latest project, Boroondara House, in Sorrento. The two-storied dwelling, nestled on a gently sloping site is intended as a place of sublime logic and enduring performance. Established in 1994, de Campo Architects were responsible for the design of the original Thermohouse in 2001. 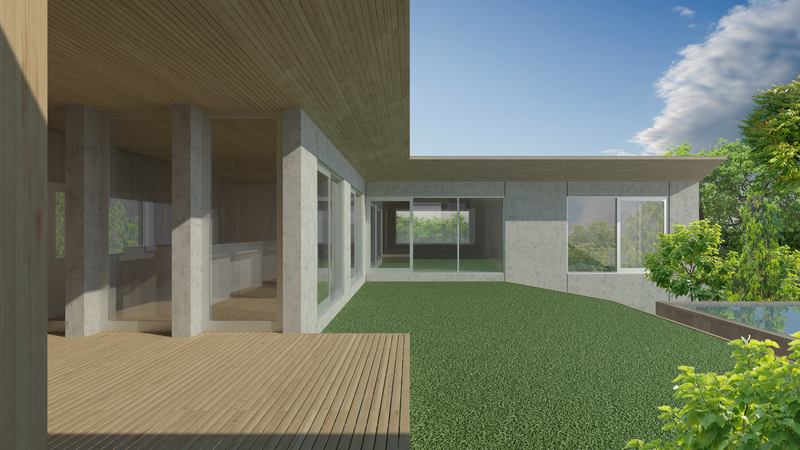 Recognising the unparalleled advantages of incorporating insulated thermal mass in their designs, de Campo Architects decided to adapt, and in some cases overcome, the constraints inherent with concrete construction to focus almost solely on insulated precast construction. Now, with almost 15 years of specializing in insulated concrete/masonry construction techniques, Chris de Campo enthuses, ‘insulated thermal mass just blows everything out of the water in terms of the performance of the building’. 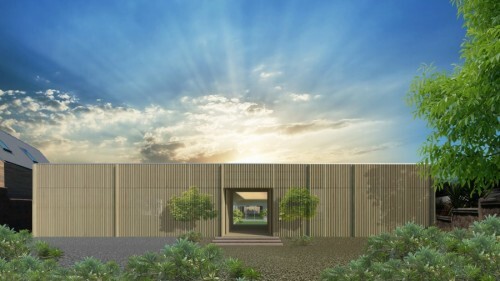 And so it’s no surprise that for their latest project, de Campo architects have once again chosen to use precast THERMOMASS concrete sandwich panels for their Boroondara House project in the coastal town of Sorrento, Victoria. The unassuming U-shaped structure hides an inner courtyard complete with pool and lush native vegetation. With privacy in mind, and to lend a sense of tranquility to the hustle-and-bustle of Sorrento, the inner courtyard is sheltered from neighbouring properties by the natural tones of the precast slabs and cleverly placed vegetative privacy screens. 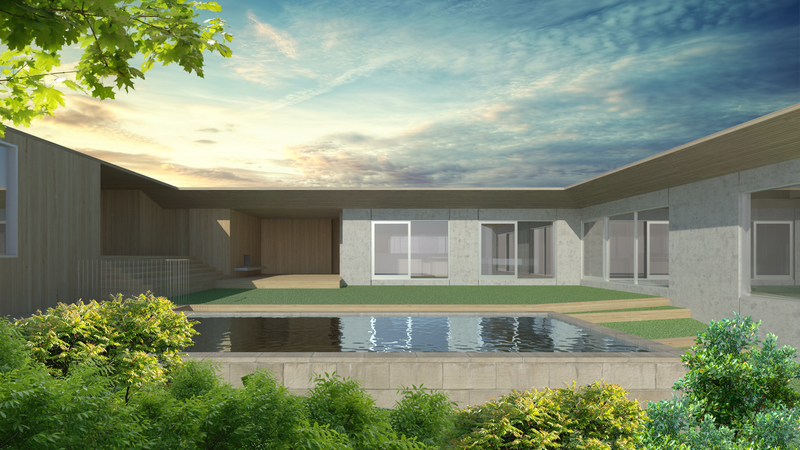 With a natural colour palette consisting of rough-hewn limestone, weathered timber cladding and off-white THERMOMASS-insulated, concrete slabs, the Boroondara House is intended to add to the local landscape and vegetation as much as it intends to make a statement. Construction is due to finish in early November this year, during which time Composite Global Solutions will be closely following the progress, with a follow-up article in the pipeline to show off the completed build.